And everything looks like NEW! Composite wooden high resistance floors. Leather upholstery with factory fitted protection covers. Freezer under saloon seating factory purpose made. Three double cabins, a stylish practical galley & a bright comfortable saloon. Light bright and quality fittings throughout the upholstry is as new as are the factory fitted upholstry covers. Hydraulic passerele Besenzoni and support for passerelle at bow. Raymarine multi function depth, speed, log wind to cockpit all interfaced with interior. Fusion flat screen TV lowers down into secure purpose built furniture. Sailing cruiser for sale in the south of France. 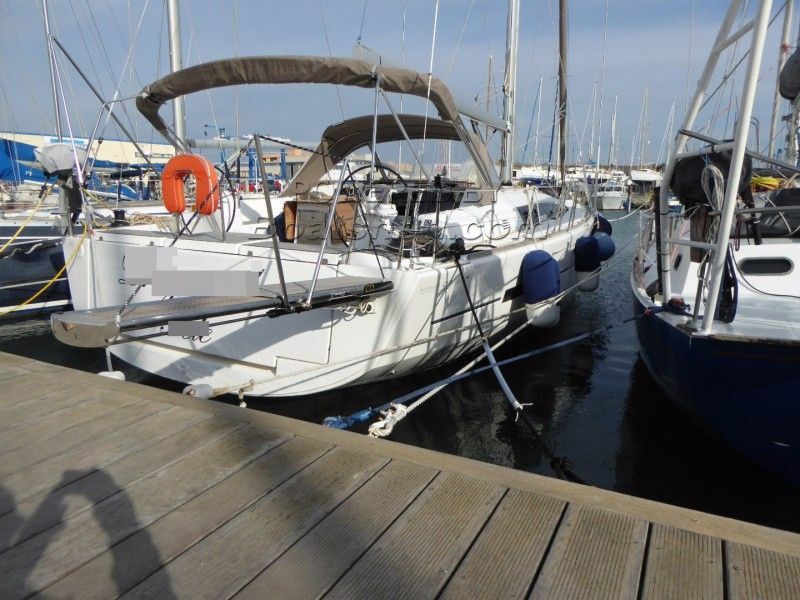 Boatshed SudMed is pleased to offer this Dufour 512 Grand Large for sale. Delivered in July 2016 and has been hauled every year since. One can not fail to be impressed by the standard of care and maintenance here and the boat looks more like a Dufour show model than a secondhand boat for sale. Ordered with a swath of options & customisations improving performance comfort and making most manouvers possible from the cockpit she is a very comfortable fast sailing cruiser ideal for the long haul whilst benefiting from all the comforts of home. Ease of movement inside & out in port or underway with light bright quality everywhere. An ideal boat to tempt even the most reluctant crew members to set set sail for the horizon. With the possibility to retain the south coast mooring if required and to take over the existing leasing agreement this boat represents a turnkey opportunity to avoid waiting lists and make serious savings on new prices. For more information & appointments to view, please contact Graham. This Dufour 512 Grand Large Built To Order With More Than 200,000€ Fitted has been personally photographed and viewed by a representative of Boatshed Sud Med. Click here for contact details.